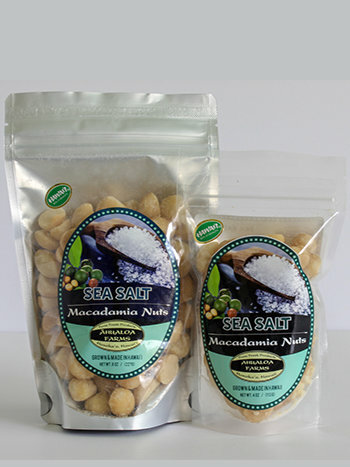 Hawaii macadamia nuts, sea salt and macadamia oil. Slow roasted. Give our salted macadamia nuts a taste today. Some of the best salted macadamia nuts around. Choose from 4oz and 8oz bags.